Working with a qualified firm to create an e-commerce site has many advantages. In todayâ€™s article, weâ€™ll explore the three most crucial ones, read on for more. E-commerce has changed the way we do business, and it will likely never be the same now that businesses have seen just how much they can reduce their overhead by embracing it. Of course, consumers also benefit from e-commerce, as they can order items from the comfort of their own living room and have them delivered the next day. While it may have an intimidating name, the e-commerce field is easier to enter than many people seem to think, and there are plenty of options for a business looking to set up a site. In todayâ€™s article, weâ€™re going to discuss three of the main benefits of using a dedicated e-commerce firm like Newizze to establish a site. One of the most significant advantages of using an e-commerce firm to establish a website is that the client can then focus on other projects that need attention. When getting an e-commerce business up and running, there is plenty of work to do and contracting out the work to a third party can save plenty of time. Time is money and every day that is saved getting a company working will result in more profit in the long term, so tackling two crucial projects at once can be essential. This advantage can even make up for the money that is spent hiring the crew to create the website. A qualified web developer will also be far more likely to create a high-end site that will bring in more customers. Unless a site-runner has experience working with e-commerce platforms, then they will likely not be acquainted enough with the tools to create something on the same level. 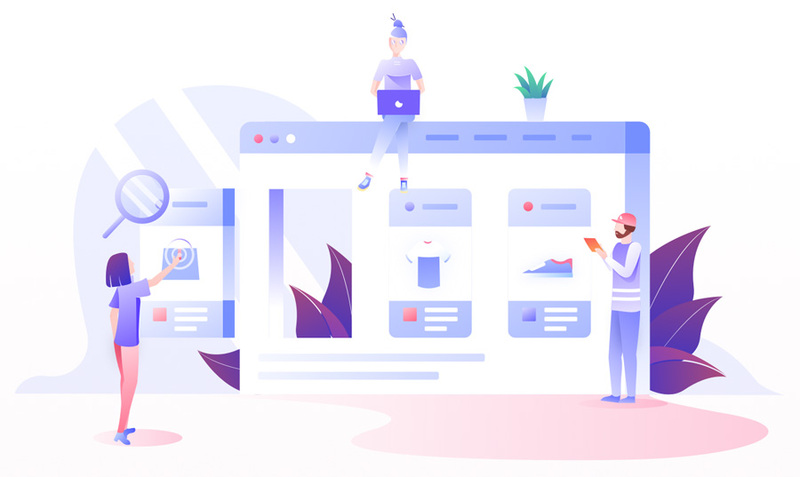 Everything from the layout of a storefront to its background color is crucial when it comes to bringing in new customers, and e-commerce developers know this best. Of course, this will only be true if the site-runner hires the right team to get the job done, as their work ethic and quality is integral. Some of the best-dedicated e-commerce firms will also continue to support the sites that they create afterward. While this may cost a little bit more for the site-runner, it will also ensure that the storefront keeps operating smoothly for a long time to come with little to no input from the owner. This will also allow the owner to establish a working relationship with the firm thatâ€™s managing their site. Working closely with a single firm is often preferable to employing several different companies, as the client and the firm will get to know each other over this period. As you can see, there are quite a few advantages to using a dedicated firm to establish an e-commerce site, but keep in mind that there are times when it may not be the best choice. For example, if a site owner has experience working with e-commerce platforms, then they may be able to do it themselves. next article 5 Rules For A Successful Email Marketing Automation Strategy previous article Whatâ€™s An Infographic? And How Do I Make One?